NEW DELHI -- French carmaker Renault SA expects to launch a "made-for-India" premium hatchback in early 2012 to compete with the Swift subcompact from the country's largest carmaker, Maruti Suzuki, a top executive at the French automaker said on Tuesday. The car will be showcased at the Delhi auto show in January, and is part of the company's goal of launching five models in India by next year, Renault Executive Vice President Philippe Klein, who was visiting the capital city of New Delhi Tuesday, told reporters. The carmaker launched its first independent model -- the Fluence sedan -- in the world's second-fastest growing auto market last month and said it expects to sell 100,000 vehicles by the end of 2013. Last year, Renault and partner Nissan Motor Co. signed an agreement with Bajaj Auto, India's second-largest maker of two-wheelers, to manufacture an ultra-low-cost car for India and other emerging markets and had planned to launch it in 2012. Renault executives on Tuesday said they were unable to comment on a potential marketing partnership as they were yet to see the product. The car would rival Tata Motors Ltd.'s Nano, the world's cheapest car. 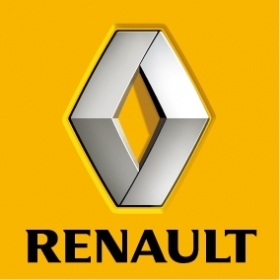 Renault is doubling capacity at its plant in the southern Indian state of Tamil Nadu to 400,000 by the end of 2012 and has committed an investment of 45 billion rupees ($1 billion) for the plant, which will roll out the five models beginning with Fluence. The company will also launch its Duster compact SUV in India in the second half of 2012, Klein said.